Uruguay coach Oscar Tabarez quit FIFA’s strategic committee on Friday in protest at the ban soccer’s governing body imposed on his team’s star striker Luis Suarez for biting an Italian player. 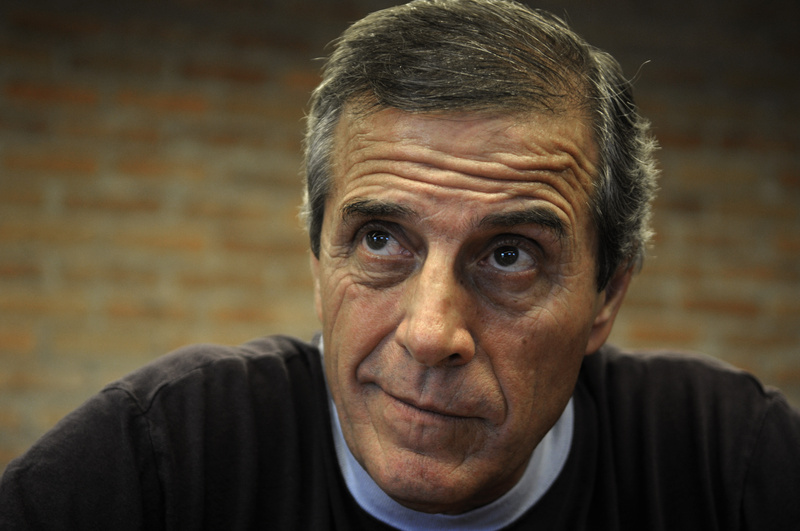 Tabarez used the mandatory pre-match media event to make an often rambling 15-minute speech with no mention of today’s game, when Uruguay faces Colombia. In his monologue, Tabarez blamed English-speaking media for creating pressure on the FIFA disciplinary panel to punish Suarez. He hinted that Uruguay, perhaps as a small country, was being singled out. “It is not wise, at least it is not prudent to be in an organization with people who exerted pressure in order to promote this decision,” Tabarez said. FIFA’s panel banned Suarez for nine international matches and four months for biting Italy defender Giorgio Chiellini in a group-stage match on Tuesday. Uruguay won 1-0 to advance. The United States’ 1-0 loss to Germany was the second-highest rated men’s World Cup match on ESPN’s networks despite the noon EDT (9 a.m. PDT) kickoff. The game received a 6.7 rating on ESPN and was seen by 10.77 million viewers, ESPN said. Viewers peaked at 12.06 million in the final half hour. With the early start for Thursday’s game against Germany, the match was seen by a record 1.05 million on the WatchESPN app. The game trailed only last weekend’s 2-2 tie between the U.S. and Portugal. Joedir Sancho Belmonte had a ticket to attend the famous final game of the 1950 World Cup between Brazil and Uruguay, but didn’t get to use it because he stayed home with his sick mother. But he saved the unused ticket for 64 years. And on Friday – in a swap with FIFA – he was given three tickets for the July 13 final at Rio de Janeiro’s Maracana in exchange for the tiny, crumpled memorabilia he stashed away. Brazil famously lost the 1950 game 2-1, which gave Uruguay the title and stands as the most disappointing moment in the history of Brazilian football.